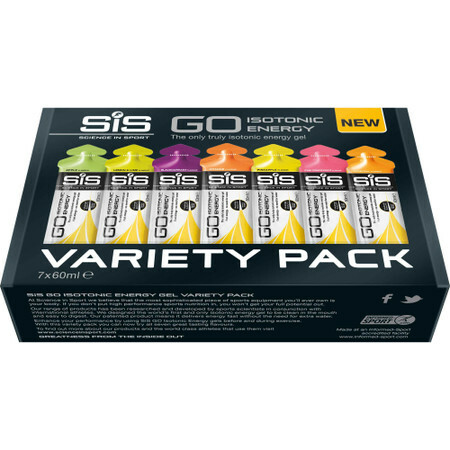 This SIS GO Isotonic Gel Variety Pack contains all 7 non-caffeinated gel flavours: Apple, Blackcurrant, Lemon & Lime, Orange, Pineapple, Pink Grapefruit and Tropical. Ideal whether you want to try them all out yourself to find out what flavours you like most, share with a friend, or just stock up on your favourite energy gels, this pack offers a great value for money (the unbundled price of the gels being £9.80). 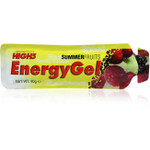 Each handy palm size GO Gel sachet contains 22g of isotonic carbohydrate energy. 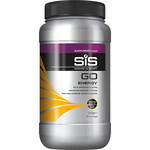 That's enough energy for 30 minutes of exercise, and because it's isotonic, it will still deliver energy without the need for extra water.